The execution was stopped and Mary Jane Veloso is alive today. This is the happy outcome after countless people in the Philippines, in Indonesia, and across the world never gave up and fought up to the last hour. These efforts paid off, with President Joko Widodo making the decision at the 11th hour to spare the life of Mary Jane. Ordinary people, relatives of OFWs, former OFWs, public interest lawyers, migrant advocates, activists, professionals, students, and Filipinos and friends across the world all contributed to make this movement and campaign a success: It convinced the Indonesian president to do the right thing and helped make sure the Philippine government would act to defend the life of a Filipino citizen. First, there is Migrante International which helped mobilize public opinion here and abroad. 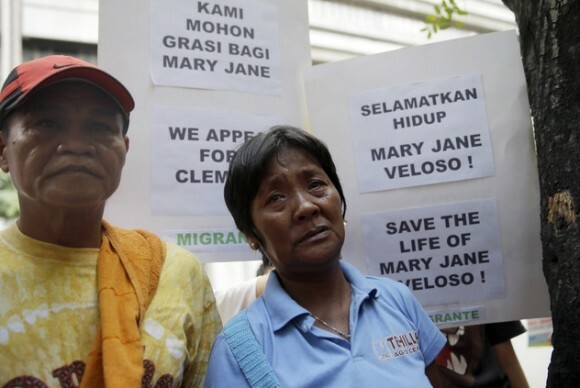 It called on OFWs and supporters to sign petitions, stage pickets at Indonesian embassies and consulates worldwide, and to express support to Mary Jane’s family. As late as Tuesday, pickets were held in Indonesian diplomatic missions across Europe, the Middle East, Asia and North America. At the Indonesian embassy in Manila, Migrante helped lead a multisectoral vigil supported by Gabriela, urban poor group Kadamay, the labor center Kilusang Mayo Uno, youth group Anakbayan, the umbrella organization Bayan. Scores of non-aligned, common folk also trooped to the vigil and to offer their material and moral support. 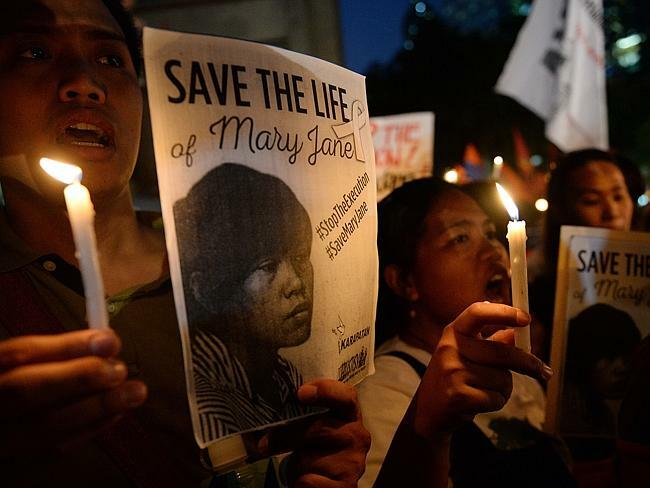 Responding to calls and some acting on their own, employees at offices in Makati and many people in other places in the country lit candles, for instance, to show their support for Mary Jane. Unknown to many, as soon as they got a line that pierced through the veil of secrecy put up by Aquino government officials, Migrante immediately connected with Mary Jane’s family to offer help. Its officers and staff accompanied them to the DFA and to Jakarta. With this fight, Migrante emerges anew as the most trustworthy and most trusted international OFW alliance. OFWs everywhere should be proud of Migrante. Second, Mary Jane’s new private lawyer: the National Union of People’s Lawyers (NUPL) led by Atty. Edre Olalia and supported by the Integrated Bar of the Philippines (IBP) and the International Association of Democratic Lawyers (IADL). Coming on board upon the invitation of Mary Jane’s family and Migrante, the NUPL led an exhaustive legal study into her case, an appraisal of the proceedings, verdict and decision, and the legal remedies available to her. The first argument is the most compelling. Aside from the serious procedural lapses, the main theme is that Mary Jane was not able to defend herself as vigorously as she possibly could. Her strongest defense is that she is, firstly, a victim of human trafficking (illegal recruitment, in popular terms). Pointing out this fact — that human trafficking brought her to Indonesia — is important to her defense because Indonesia has a “Law on the Eradication of the Criminal Act on Trafficking in Persons”. According to NUPL, this law contains a “non-punishment” clause for criminal acts committed by trafficked persons like Mary Jane. The NUPL questions why this law was not considered or applied in her case. Throughout her trial and her ordeal, Mary Jane was branded as a drug trafficker. It was left unchallenged by the Department of Foreign Affairs-hired defense team. It was left unchallenged by the Aquino government. And it was only recently, when the NUPL stepped in to vigorously defend Mary Jane that the DFA and the Aquino government discovered this outstanding legal argument. It is thus transparently clear that President BS Aquino used NUPL’s legal argument in his last appeal to the Indonesian government where he supposedly cited as basis for stopping the execution the need for Mary Jane to testify in the human trafficking proceedings against her illegal recruiter. Mr. BS Aquino and the DFA should credit the NUPL, IBP and IADL for giving them the legal basis for mounting an extraordinary appeal. Third, the social media campaigns like the Change.org petition started by the Promotion of Church Peoples Response (PCPR). That petition echoed and popularized the NUPL’s legal arguments and further prepared public opinion for the ensuing vigils an protests, and for the last-ditch legal moves in Indonesia. Its fair and convincing demands held ground against the fatalistic, cynical and opportunist views being spread by some quarters. The petition also made clear the broadest objective of the Filipino people’s protests: to save the life of Mary Jane. It also became the starting point of online discussions, helped by the blanket coverage from media networks, that led to questions about government neglect, incompetence and a refusal to exert the maximum possible efforts. Bloggers and netizens pitched in. By the evening of April 28 until the good news of her being spared being executed by firing squad, Mary Jane’s name was the top trending topic. From #SaveMaryJane to #MaryJaneLives. We Filipinos of course thank President Joko Widodo for making the decision at the 11th hour to spare the life of Mary Jane. We are absolutely happy that the Jokowi government accepted President BS Aquino’s appeal which was based on the NUPL’s legal arguments. 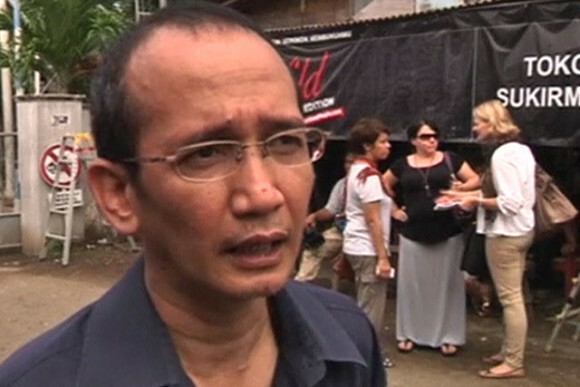 Mary Jane’s family could now, maybe even temporarily, enjoy the relief arising from Jokowi’s decision. But for the rest of us, it gives us an opportunity to turn this victory into a sense of determination to avert another Mary Jane incident from happening again. The BS Aquino administration, from the president to the concerned diplomatic officials, should be held accountable for the apparent mishandling of Mary Jane’s case from 2010-2015. Many are asking questions why government made bold steps only recently. Those questions should be answered. Migrante has this to say: Heads must roll. Explanation from the DFA and Philippine embassy in Jakarta why NUPL’s Edre Olalia was booted out of the “last” family visit to Mary Jane on April 28, 2015. A list of OFWs and other Filipinos overseas who are in death row, or facing trial for offenses punishable by death, and the status of each case. An itemized and audited list of expenses charged against funds approved by Congress for Assistance to Filipino Nationals (ATN) and for OFW Assistance. The immediate and swift prosecution and trial of the human trafficker that victimized Mary Jane. Government should also move to arrest the ringleaders of other human trafficking syndicates. Arrest, prosecute and punish ringleaders of drug syndicates operating in, from or through the Philippines. This is the best article about Mary Jane’s plight by far. I’ve read so many trash the past few days – it is always the politicians who are being credited for her reprieve. Is the Philippine press all about profit? Are writers preparing for the upcoming elections and promoting the self-serving politicos who will – once again – reside in Malacanang and continue the tradition of graft and corruption?